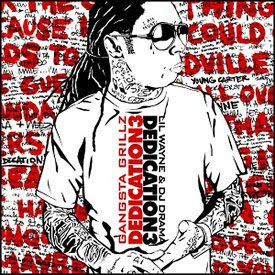 Here is the third installment of DJ Drama & Lil' Wayne's dedication series. The tape features Young Money members, Mack Maine, Tyga & Nikki Minaj, as well as new comers Jae Millz & Gudda Gudda. This is definitely a tape all Wayne fans should download, it's full of new verses & new beats. Be on the lookout for The Carter 3: The Rebirth & I Can't Feel My Face albums early 2009.